The M90 features a striking headlight cowl that leads to the flowing lines of a teardrop tank, saddle-style seat and compact tail section. Its hidden rear suspension system gives it a classic hardtail look combined with the smooth performance of a modern cruiser, while inverted forks contribute to its precise, agile handling. 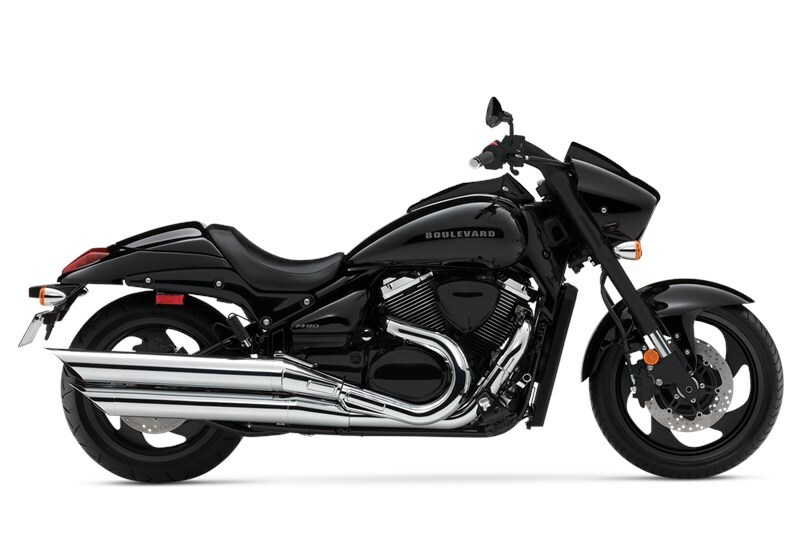 It also features a 90-cubic-inch V-twin engine with Suzuki fuel injection for tremendous torque and exhilarating acceleration from idle to redline.